Dance music and the album format don’t really get on: They usually prefer to stand at opposite ends of the room and frown at each other. 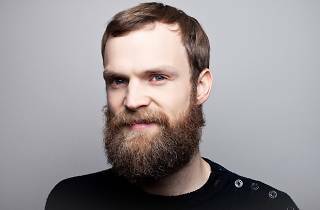 Then, in storms Norwegian nu-disco virtuoso Todd Terje with his debut, ignoring the awkwardness and excitedly declaring, "It’s album time!" Having played a big part in reviving disco’s cool with groovy club smash "Inspector Norse," Terje has earned the right to take a few liberties. His love of heady, cosmic disco is a key focus ("Delorean Dynamite" explodes gloriously), but he also surfs through kitsch electronic funk ("Leisure Suit Preben"), Latin jazz skits ("Svensk Sås"), flared ’70s jams ("Alfonso Muskedunder") and even a Bryan Ferry collaboration—a slow, sedated and breathy cover of Robert Palmer’s "Johnny and Mary." It’s all executed perfectly and with so much satirical sparkle you can picture Terje’s bearded grin bursting out with every subtle key change. He freaking loves it. Has he reimagined the dance music album? Nope. Did he ever intend to? Nah. Has he made the funkiest, most enjoyable record in ages, which will rightly sit high in countless Best of 2014 lists? God, yes. It’s Terje time.